Feeling lucky? Bring a bit of mystery into your life by picking up a Lucky Dip E-Liquid Bundle from the Electric Tobacconist® today! 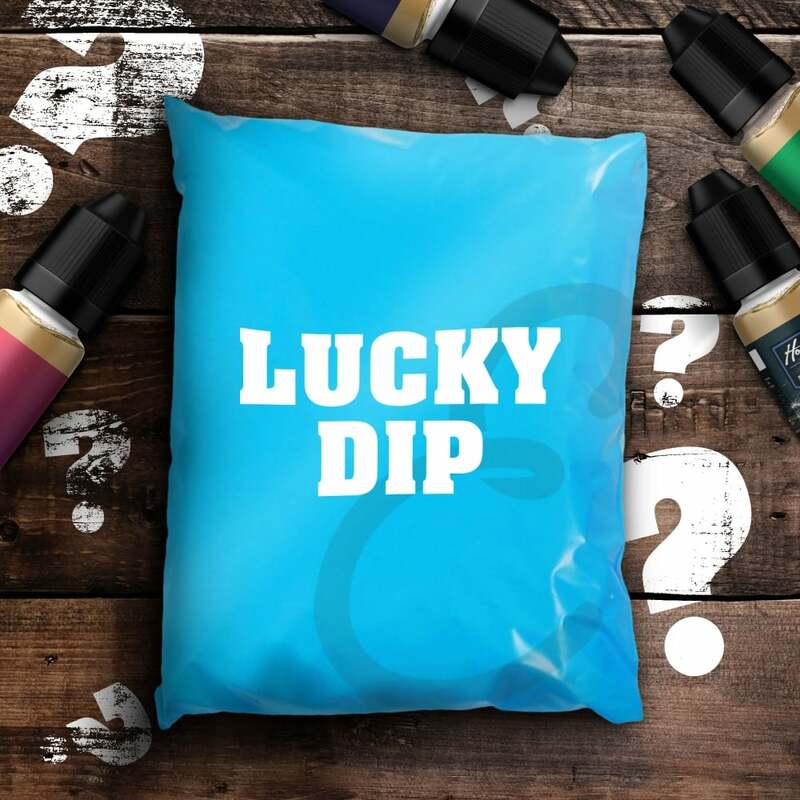 Each Lucky Dip Box contains 5 mystery 10ml e-liquids (don’t worry, we’ve hand selected each one from our extensive range) and there are three different nicotine strengths available: Zero (0mg), Low (2-3mg) and Medium (4-6mg). Each bundle is worth £23, but you can get one for just £14.99 - that's over 30% off RRP! Only one I liked in the bag.. Would no but again..
Maybe just unlucky with this bundle but the flavours are horrible, expect one they went to the bin. A really good and varied selection of flavours. I was aprehensive about it first but every flavour is right up my street. I will give a lucky dip another go and I've already recommended it to friends and family. Each liquid was right up my street. They also came nicely packaged, in tissue paper. I felt like a Kid a Crimbo, excited to see what selection of liquids were waiting inside. I wasn't disappointed either. Five bottles of top quality juices for a bargain price. I will definitely purchase again and would highly recommend. As always, the Electric Tobacconist's service was superb and speedy. In a word, Brilliant! Absolutely amazing product we even did a review of these lucky dip bags over on YouTube: Simple Things Done Right. You won’t be disappointed if you purchase them they’re great value for money and they don’t give you all their old stock that they can’t shift.